Custom bedframe and leather headboard. Gilded white gold side tables. 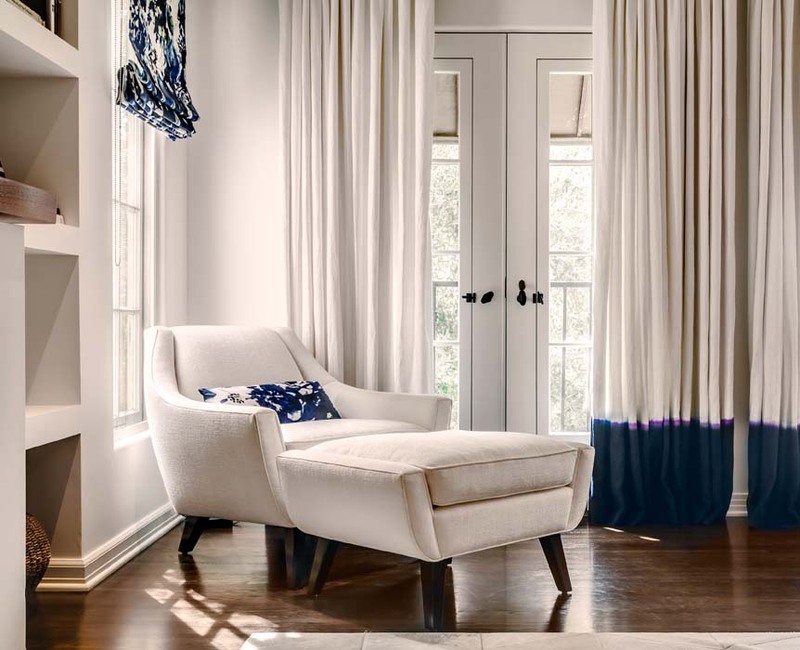 Dip-dyed custom indigo and white cotton curtains. Custom 1950's armchair in white linen. Hand-dipped indigo drapes. Custom vanity cabinet with polished nickel hardware. Custom industrial iron shower doors. Custom eggplant wool stair runner by Stark Carpets. Black and White honed marble floors from Exquisite Surfaces. Vintage French wall mounted console. Custom neon violet 1950's style club chairs. Custom green lacquer coffee table. Rug from The Rug Company in custom coral and cream. 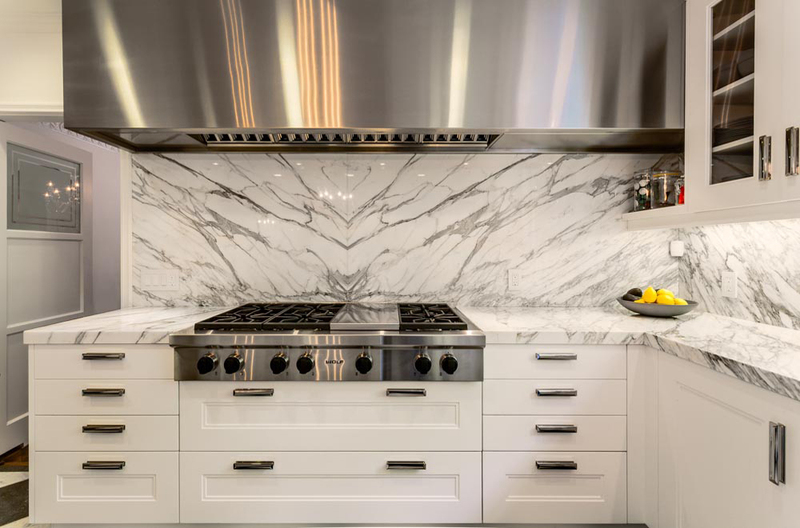 Kitchen cabinetry by Downsview Kitchens and Kitchen Studio Los Angeles. Statuary marble book matched backsplash and countertops. Vintage Art Deco dining table and credenza in black lacquer. Custom lacquer gray kitchen table. Vintage re-purposed burl walnut dresser. Custom entry marble mosaic from Walker Zanger. Built in BBQ with custom spanish tile from Country Floors. Janus et Cie outdoor furniture.